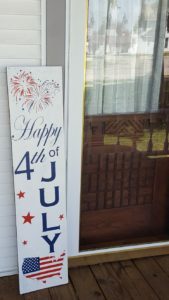 All of our Porch Sign Classes are $50 per person. 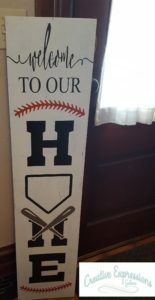 You may choose a second design to put on the back of your sign for an additional $25 (due to time limits of the class, you may need to complete that side at home with materials provided including stencil, paint, and brushes). 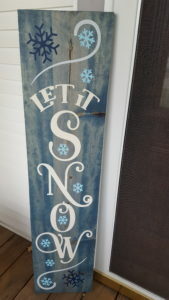 For our Porch Sign Workshops, we sand and stain the wood for you ahead of time. 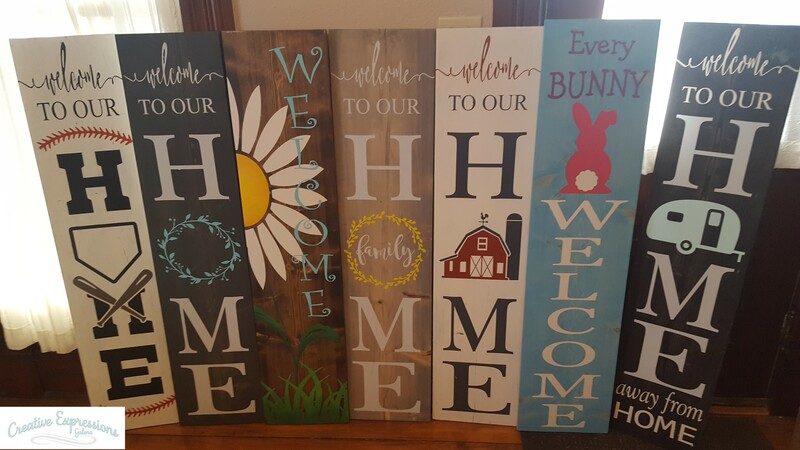 During the workshop you will be able to paint the sign any colors that you want, distress the wood as much as you want, and have lots of fun doing it! This is a great couples date night idea, girls night out, or a family friendly activity. People of all ages will have fun during our class! We ask that you arrive 5-10 minutes prior to the start time of this class. We do allow children age 7 and older to attend our classes with a paid registration. They must have a parent or guardian also attending the class with a paid registration. Each person who attends the class MUST register for the class. Please note that this project does involve wood and no two pieces of wood are exactly the same. 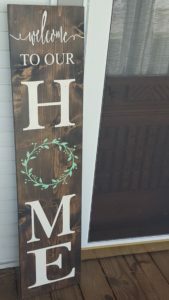 The grain, texture and how the wood takes the stain is different in every piece which means each piece of wood will vary slightly and each sign will vary slightly but it will look fine when we are finished! If the project you make is going to be displayed outside or in an area prone to moisture, we recommend that you protect it using the sealer of your choice which you can purchase at any local home improvement store. Cancellation and Refund Policy: Due to the customization of our classes, there are NO REFUNDS on any classes or materials! However, if you are unable to make the class please call me or email me at CreativeExpressionsGalena@gmail.com prior to the class scheduled time and we can arrange for you to attend a different class. Also, due to the customization of orders, we can NOT make any changes after you register. We do require at least 10 people to attend a class in order for us to hold it. If for any reason we have to cancel, such as bad weather or low attendance, we will notify you ahead of time and reschedule the class. If you can’t make it to the new scheduled date, we will find another class for you to come to in your area! Photographs taken at Creative Expressions Galena (CEG) Traveling DIY Workshop events may be used in future CEG publications, on the CEG website or in other association materials. By attending any CEG events, you agree to allow CEG to use your image in any CEG-related publications, promotional products, or websites. By attending any CEG events, you consent to the use, without compensation, of recordings of your likeness and voice by CEG, perpetually and throughout the world, (a) in connection with future CEG publications, and (b) in any related CEG video or audio recordings, printed publications and Internet publications. You acknowledge and agree that CEG, and its successors and assigns, is the sole owner of all copyrights, literary rights and similar rights to such media. 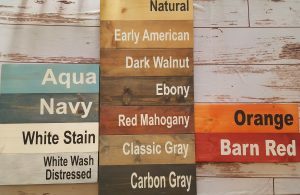 Please NOTE that Dark Walnut is our most popular stain color, it is used on most of the signs in our gallery. If you would like white and you want a clean look, pick the white stain. If you like the distressed or rustic look, pick the white wash distressed. Only one stain color can be picked per board!